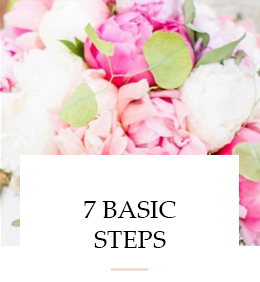 Last weeks blog post was about how to drive more traffic to your site by using SEO (search engine optimization), but more specifically, what search engines are looking for. Today we’re going to learn what search engines are not looking for! There are many ‘not above board’ practices that can bring your site a Google ‘beating’ — causing your site to not show up in Google searches and traffic numbers drop drastically when Google changes their algorithms. Note: When Google does an algorithm change, I hear tons of bloggers freaking out because their traffic numbers start dropping significantly. THIS HAS NEVER HAPPENED TO ME! Why? 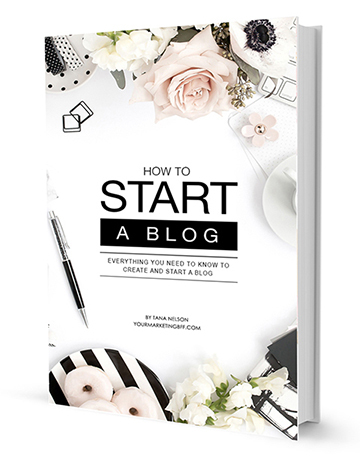 Because I write blog posts authentically, blog posts and images that have the actual keywords and content that I say are in them. So let’s pull back the black curtain and show you what’s best to avoid doing, even if it looks like a brilliant, easy way to grow your site’s traffic. Keyword Stuffing. Are you overusing keywords on your pages, especially when they affect the readability of your site? If your pages read like an infomercial for your keyword(s), stop it! Annoying Ads. Anything that is overly intrusive and destroys the pleasure of reading your content, slows down your site speed, or freezes it and requires a refresh, is not a good thing. Ask someone to be brutally honest with you, “Are my ads annoying?” I see a number of these sites and Google (and I) are not happy! Link Buying or Excessive Link Exchanging. If you’re thinking about teaming up with a link farm, don’t do it! What’s a link farm? A set of web pages created with the sole aim of linking to a target page, in an attempt to improve that page’s search engine ranking. The BEST links to your site are the ones that come from authentic sites within your niche. Duplicate Content. Did you know that if Google finds two identical pieces of content, whether it’s on your site or on another (that you might not be aware of), it will only index one of those pages? Be aware of ‘scraper sites’ that steal your content automatically and republish it as their own. Read this post, Is Your Content Working Better For Someone Else. One more thing to note about duplicate content… Make sure that a guest blogger on your site doesn’t republish the content in full on their own site because this may affect your own rankings. It’s best to ask your guest blogger to publish excerpts and point back to the original blog post, thus avoiding this issue. Want to see a real life example of this being done properly? Sure you do, see this post here. Hidden Text and Links. There are ways to manipulate rankings that a reader may not ever see, but Google can. Say what? I’ve seen people using white text on a white background so that the reader can’t read the ‘keyword stuffing’ going on. I’ve also seen people “hiding” a link in a single character like a comma. Trust me, anytime you try to ‘cheat’ and manipulate the search engine system, you’ll eventually get caught. So just don’t do it! If you write valuable content that your readers want to read, you won’t have to worry about getting a Google beating…and watching your traffic numbers take a nose dive! 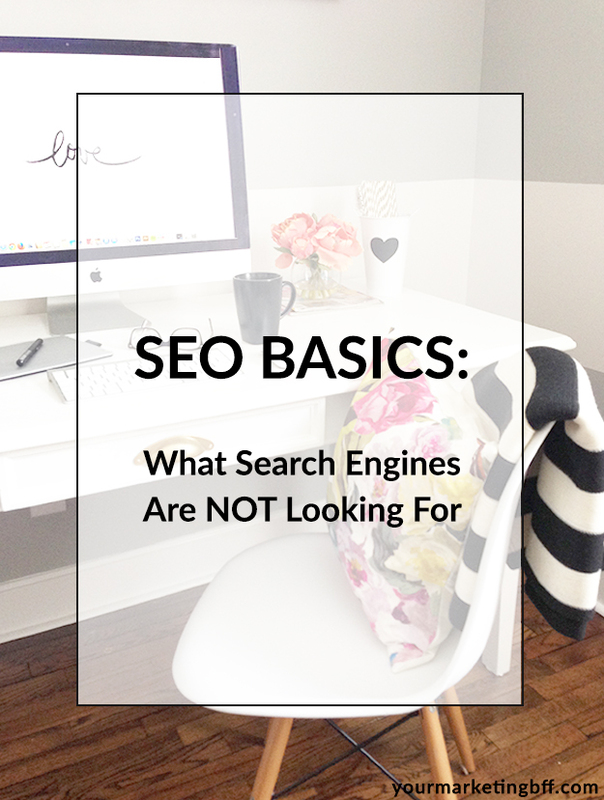 Missed the previous blog post, SEO Basics: What Search Engines Are Looking For? You can find it right here. Looking for help with my blog. Can you contact me with pricing info and what you can offer. Already on IG and started a blog but I’m feeling a little lost with it. I’ll send you an email now. Thx for reaching out.